Larry began his career in the substation packaging business in 1987. 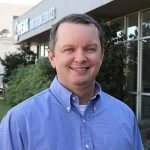 He is another one of our employees that has spent his entire working career solely in the substation packaging industry. With extensive experience in all areas of the business (warehousing, shipping, detailing, designing, checking, plant management, etc. ), Larry makes a great addition to the knowledgeable staff at Peak Substation Services. Larry’s strengths lie in his understanding of the many facets of steel design and being able to communicate complex issues effectively. 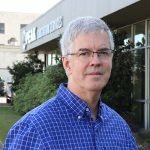 He also brings the experience of having been a key team member on thousands of projects working with Consultants, Utilities, and Contractors across the entire United States. Checking, steel design, and project management. Steel design, project management, and steel fabrication since 1987.